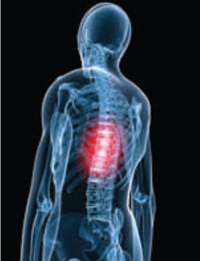 Thoracic Spinal fusion surgery is one of the most common operative procedures that are done for upper back pain. Although this surgical procedure is only performed when all the other conservative treatment options fail to improve the symptoms of thoracic back pain and the patient has no relief from his discomfort. Orthopedic surgeon these days use minimally invasive techniques to perform thoracic spinal fusion, so that the patient is able to go back to his normal life minus the upper back pain without feeling the trauma and postoperative pain that usually follows traditional spine fusion. Moreover, minimally invasive technique also lessen the risk of bleeding as well as less time in the hospital which also means that the patient is able to heal more quickly. The most common approach used for this type of disorder is thoractomy in which an incision is made into the chest wall and a rib is removed so that the surgeon can reach the area where the surgery is required. Why Thoracic Spinal Fusion is Needed? Spinal fusion is performed on patients who are suffering from severe and debilitating pain that shows no sign of improvement with non surgical treatment. Spinal fusion is also a treatment option for neurological deficits. Thoracic spinal fusion has similar recovery requirements as well as restrictions like any other spinal fusion. The patient is required to stay in the hospital for a day or two under observation. The patient is restricted from performing activities like bending, twisting as well as stretching for the first six weeks of the surgery.